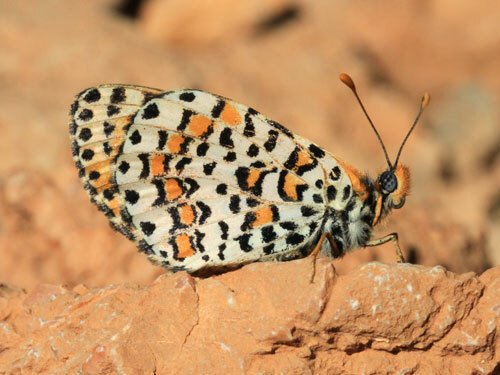 This is a truly desert species, found only in the hottest driest places of the north Africa from the edges of the Sahara and south. 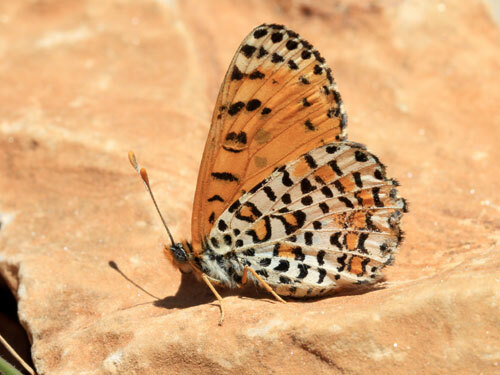 It closely resembles the spotted fritillary M. didyma but they are rarely known to fly together. 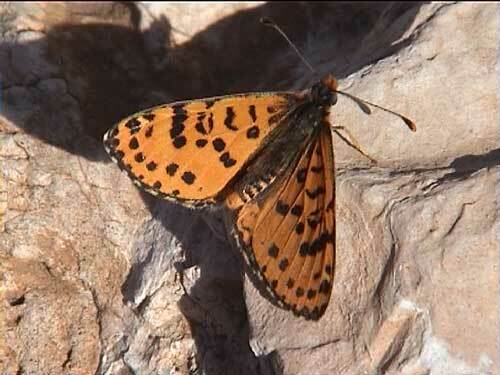 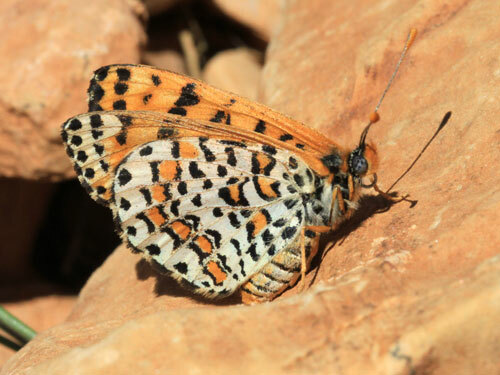 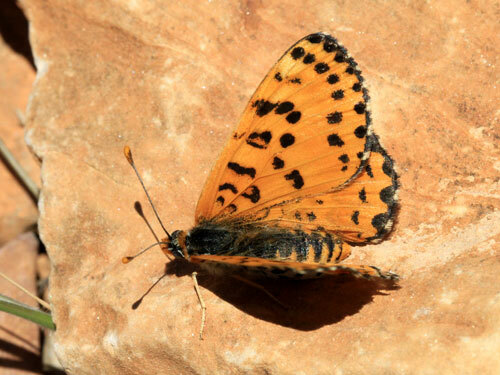 Identification & Similar species: Overlap of this species and the spotted fritillary M. didyma may occur in southern Morocco, Algeria and Tunisia on the edge of the Sahara. 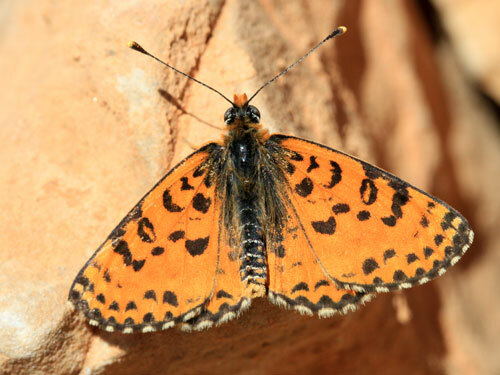 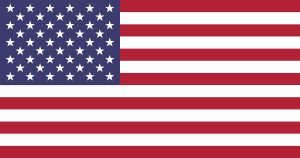 The current species has more orange and with reduced upperside black markings. 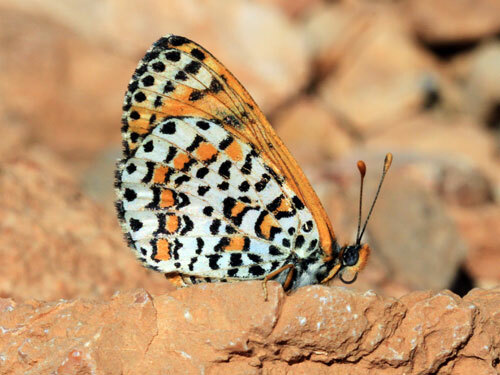 The antennae are orange beneath extending from the club to at least a third the way down the shaft, compared to black with just an orange tip in didyma. 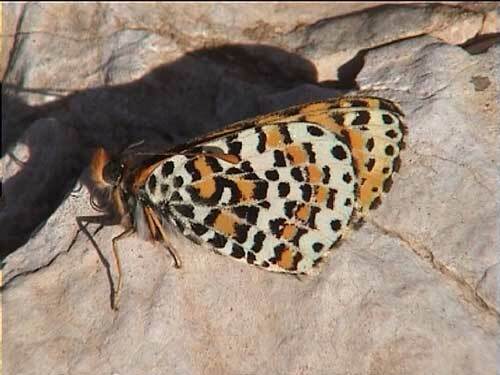 And the underside of the abdomen is orange, compared to white. 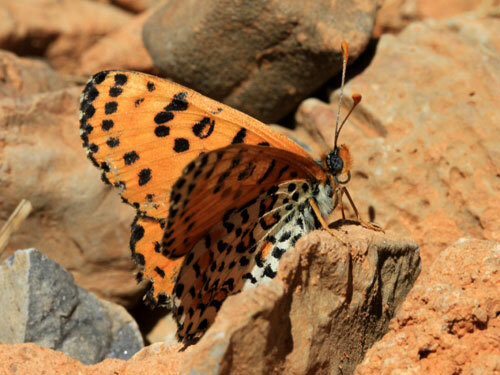 Distribution & Flight: Sahara into the southern areas of Morocco, Algeria and Tunisia. 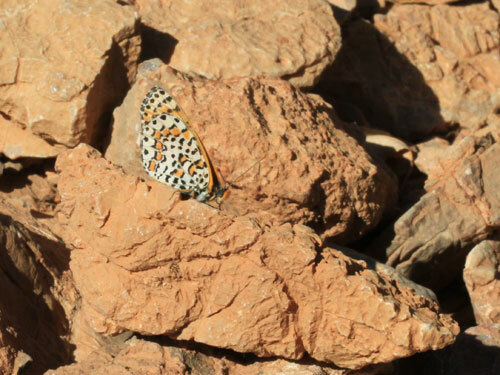 From March into the summer in a variable number of broods depending on seasonal conditions. 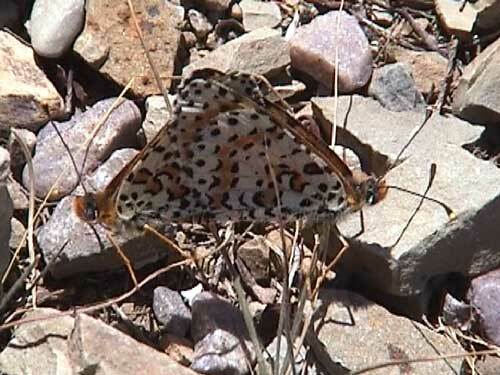 Habitat & Behaviour: Very hot dry rocky slopes and gullies with sparse vegetation. 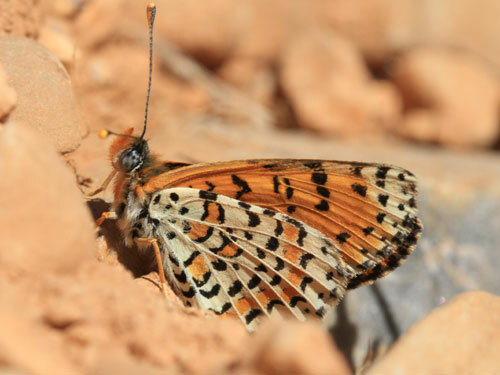 Orange beneath the abdomen and also the last 3rd of the antenna. 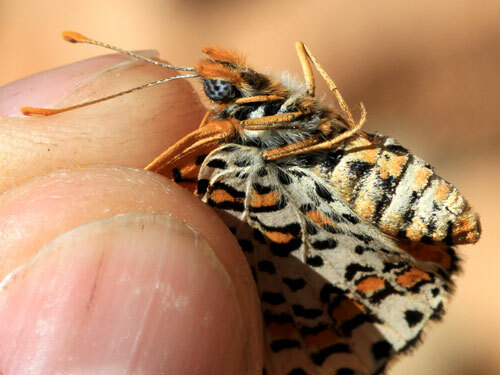 Underside of antenna completely orange. 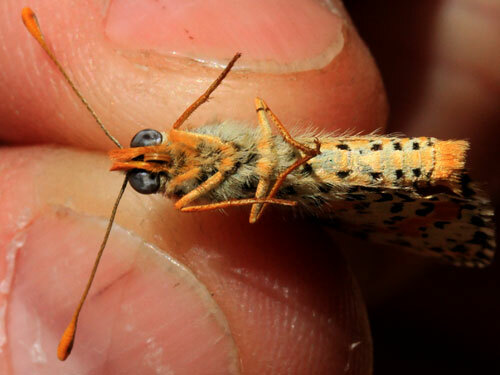 Also last 1/3rd of the antennal shaft is orange. 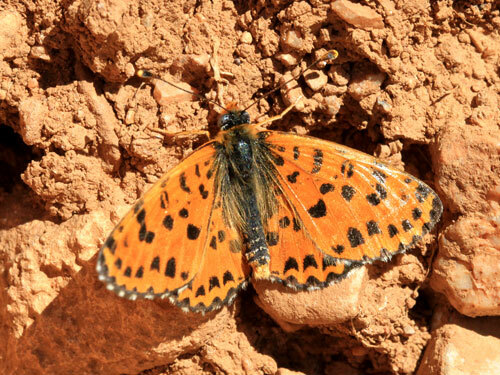 Features that separate M. deserticola from M. didyma. 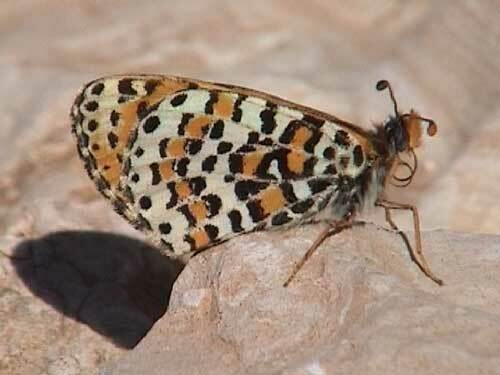 I think these are deserticola but that ring of orange on the antenna hints at didyma.